Steelhead and Rainbow Trout are actually the same species. However, Rainbow Trout lives in freshwater only while Steelheads migrate to the open ocean. Steelhead has many salmon-like characteristics. Like salmon, Steelhead Trouts are anadromous meaning that they hatch in freshwater, migrates and mature in the open ocean and then returns to freshwater to spawn. Steelhead is considered one of the healthiest fish you can eat. It is an excellent low-fat source of protein and it meets the daily minimum requirements for omega-3 fatty acids. Steelhead works great as a lunch or dinner item and even pairs well with eggs or in a unique hash recipe on your breakfast menu. The flesh cooks up moist and flaky with a rich texture and buttery flavor. This fish is very versatile to work with and can shine in a variety of preparations. 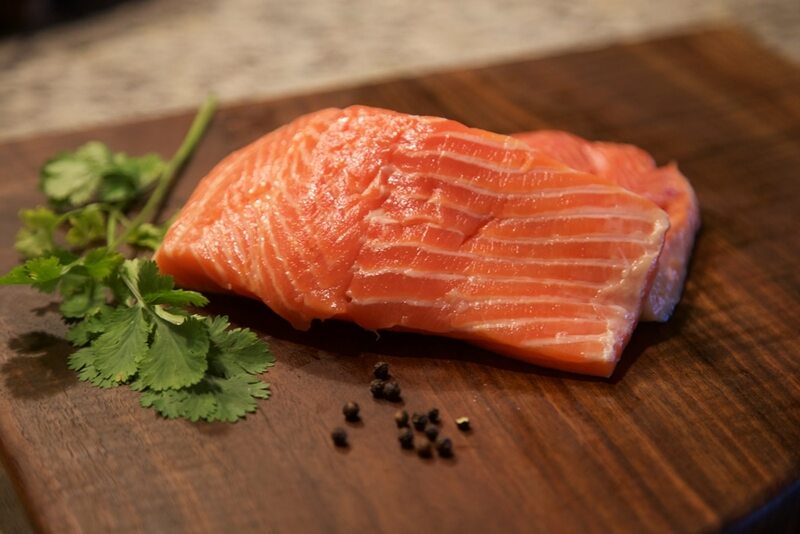 Steelhead Trout can be poached, roasted, grilled or broiled; it can also be smoked or cured. 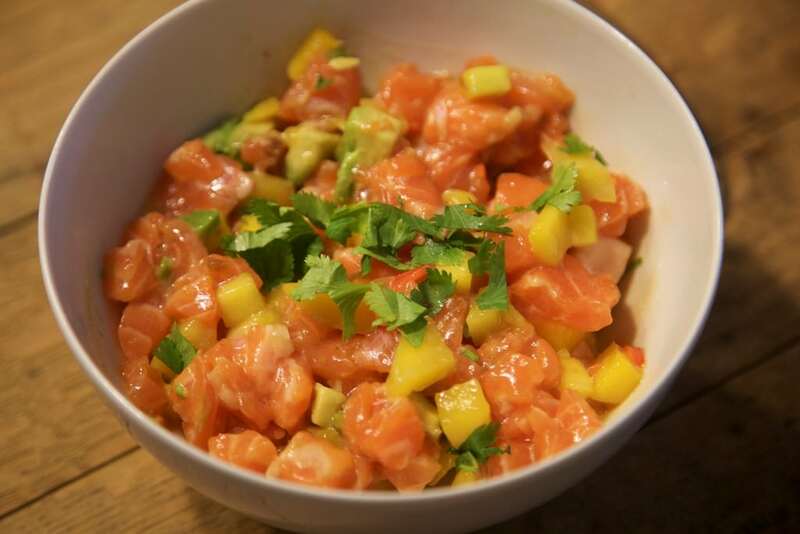 This healthy option is great for salmon lovers and non-salmon lovers alike, since its flavor is similar, but more mild. 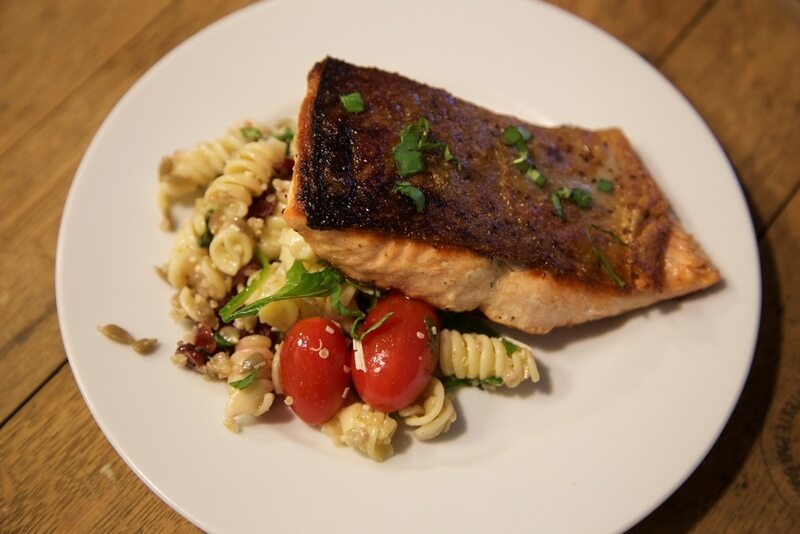 Like salmon, Steelhead Trout pairs well with a variety of wines, including lighter reds like Pinot Noirs but can also work in a more casual setting with a variety of beer types.